The French love ribbons, red ones for the Legion of Honor, green ones for the Arts and Letters, and blue ones for “Ordre National du Merite”. 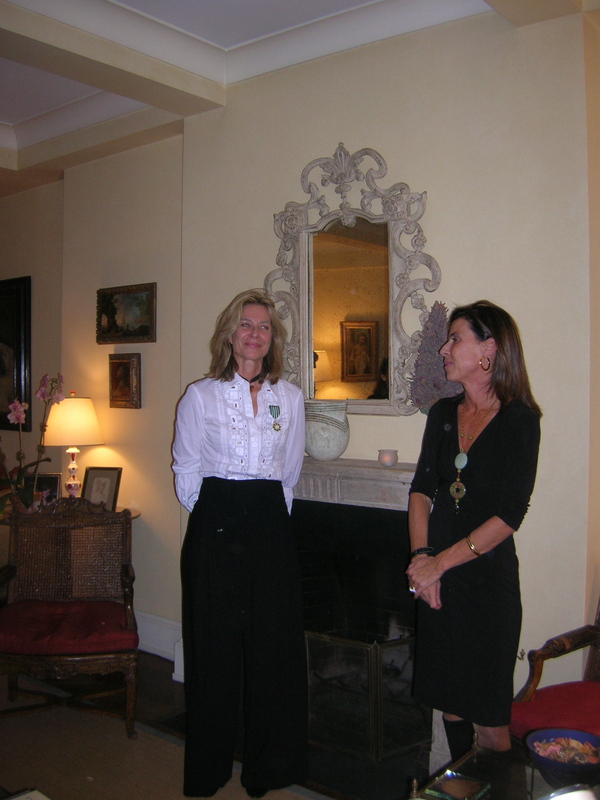 I am lucky enough to have a green one as a Chevalier des Arts et des Lettres and I must say when your own country honors you, it is a great pride. 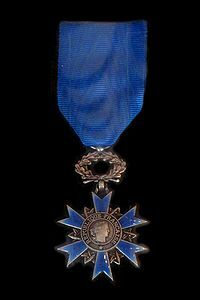 The General de Gaulle created the Blue Ribbon in 1963 , an award for special deserts. The reward is less grand than the Legion of Honor, but the ribbon is much nicer.  A deep blue that bears some resemblance with Yves Klein’s blue, christened the International Klein Blue (IKB) in 1956. George Sape, a well-known New York lawyer, President of the American Society of the French Order of Merit (www.asfom.org ), had the idea of organizing a gala to profit French culture in Washington in the wake of the Yves Klein show. ” This gala is a way to call attention to this show that takes place at the Hirshhorn museum, part of the Smithsonian Institute in Washington”, says Sape. 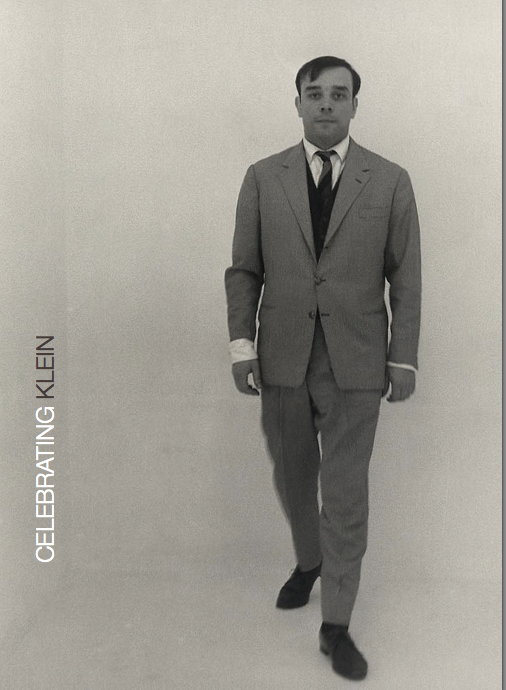 America first discovered Yves Klein in 1961 thanks to the New York gallery owner Leo Castelli. (Great biography by Annie Cohen Solal on Leo Castelli just released!) He was part of the New realist movement, one of the most creative art movement in France after WWII. Another member of the group was French sculptor Arman who spent most of his life in New York. The money raised at the gala will “benefit French American projects in the field of contemporary Art ” and finance a fund hosted by FACE ( the French American Cultural Exchange), a foundation created by the French Cultural Services in the US. “Everything we can do to help increase the French presence in the US is helpful, I think. President Sarkozy has been instrumental in raising the level of interest between France and America.” says Sape, a die-hard francophile. “My mother and my grand-mother were educated at the Sorbonne. They raised me to appreciate French culture. They taught me all from the proper placement of silverware to the love of French opera,’ says Sape , a wine collector who will be donating the wine at the gala. Georges Sape belongs to this very special breed of Americans, the real Francophiles, for whom I definitely have a soft spot.The event is hosted at the French Ambassador Pierre Vimont ‘s residence. Yves Klein’s wife, Rotraut Klein-Moquay , an artist in her own right, (www.rotraut.com) will be there as well. The goal is to raise $70.000 among the 60 to 70 attendees. A few seats are still available…. I would not hesitate!